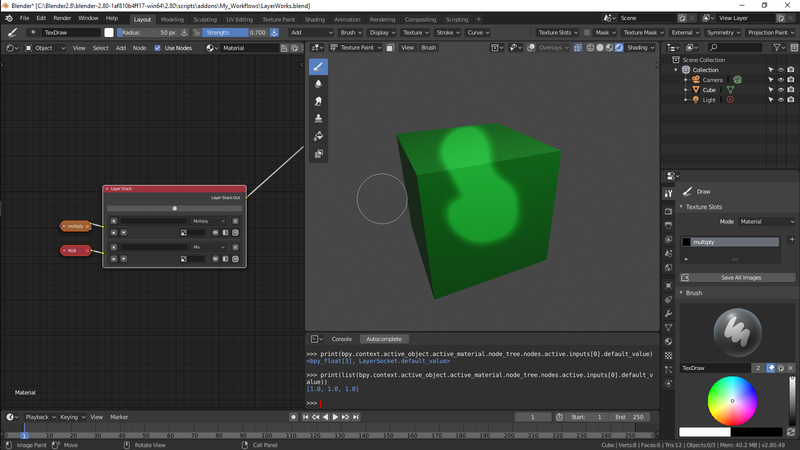 if shader editor and View 3d are open together, you'll notice the lags. if you now close one of them, the lag goes away. Please, also note, that the whole thing crashes my PC after some time. this crash isn't a freeze, however, it rather looks as if UI elements of Windows are not drawn correctly any longer. PC also does not respond to clicks but one can notice that the tasks still run correctly. Sergey (sergey1994_m) claimed this task. This comment was removed by Sergey (sergey1994_m). To get rid of the'default_value' warning, you need to add a _default_value_ property to the socket class. Making a variable with that name is simply not enough. for example. we do mean the same thing or don't we?